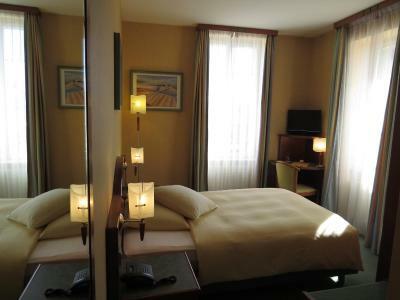 Lock in a great price for Hôtel du Port – rated 8.6 by recent guests! Very close to LaSuisse boat docking. Waterfront views! Close to metro. 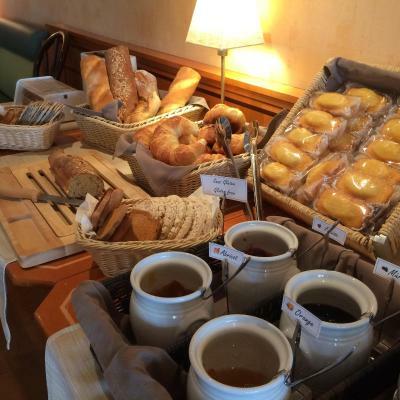 The cheese and bread were excellent and the Coffee was good, the selection of fruit was very nice. Wonderful location in the port with easy commute to downtown and railway station. 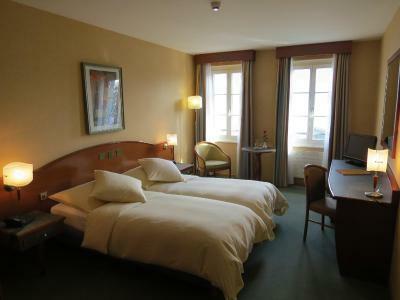 The room was big and comfortable, wonderful view of Lac Leman. Room was very clean. Great location. Close to metro station. Great view from room. Have elevator. The friendliness of the staff i.e. owner was over the top. The location was absolutely ideal! 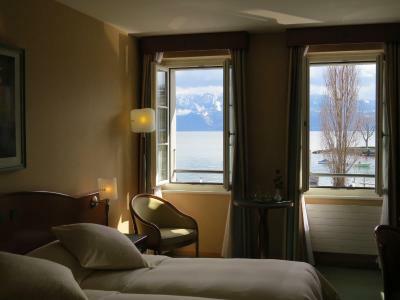 Loved the location and view of Lake Geneva- room was exactly as expected! 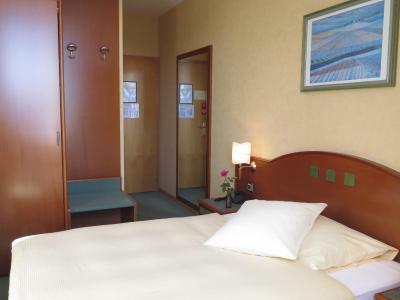 Hôtel du Port This rating is a reflection of how the property compares to the industry standard when it comes to price, facilities and services available. It's based on a self-evaluation by the property. Use this rating to help choose your stay! One of our best sellers in Lausanne! 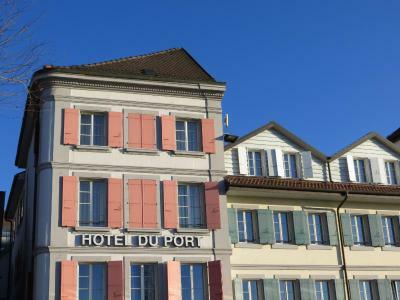 The charming, small, family-run Hotel du Port is located close to the center of Lausanne, next to the Ouchy metro station and the harbor and offers you cozy rooms and fine cuisine. 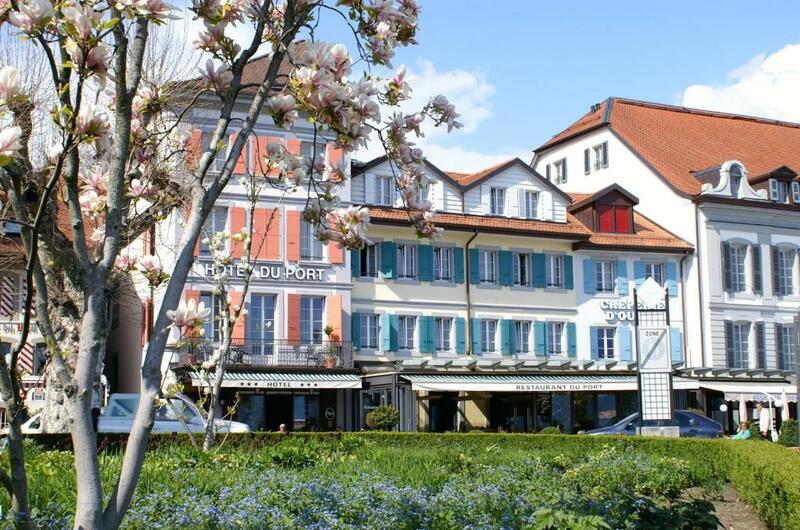 Traditional cuisine made from high-quality ingredients has made the Hotel du Port's restaurant a famous address in Lausanne. Don't miss the perch fillets fried in butter with lemon sauce. Guests can relax on the terrace and can also enjoy breakfast there. 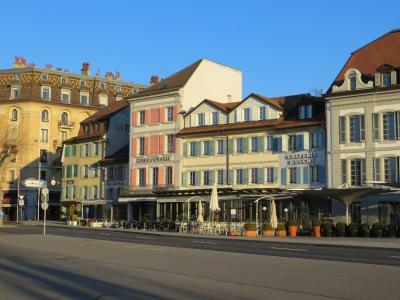 The area offers wonderful and scenic views of Lake Leman and the Alps. You will find pedestrian ways and bicycle tracks along the lake. A beach with a public bath, a harbor for yachts and flower gardens are reachable within a few steps. On request, discounts on the parking is available upon check-in. A free transport card will be given to you at check-in. 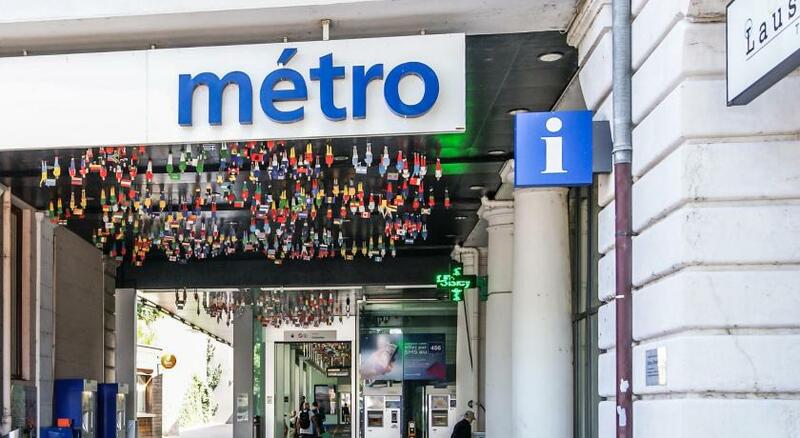 The train station or city center can be reached in about 5 minutes with the new metro. 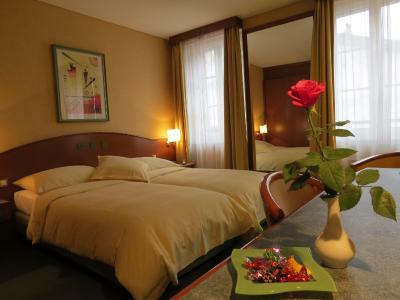 When would you like to stay at Hôtel du Port? Facing the north, this room features views of the courtyard. 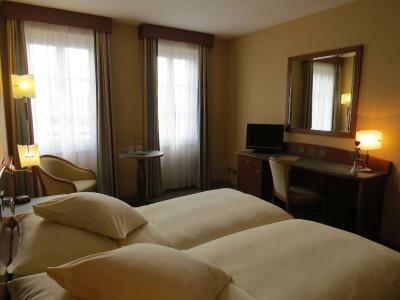 It features 4.6 ft-wide beds and a digital TV-set with 70 channels and 18 radio channels. 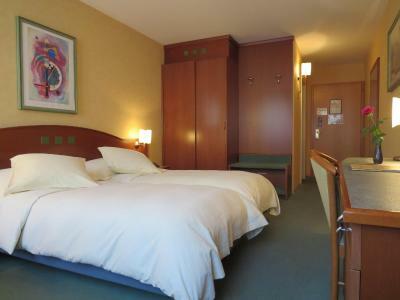 Facing the north, this spacious and modern room features digital TV with 70 channels and 18 radio channels. 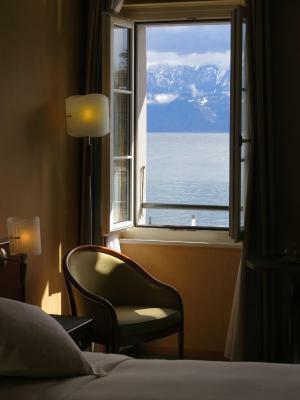 This south-facing room offers views of Lake Léman and the Alps. 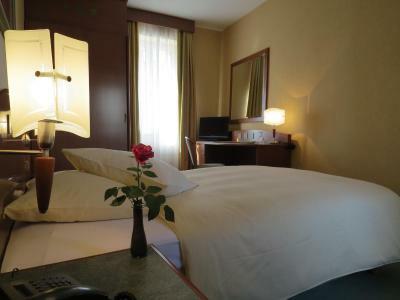 It is spacious and features a digital TV-set with 70 channels and 18 radio channels. 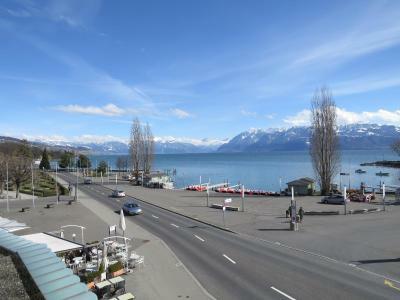 This room facing south offers a magnificent view of the Lake Léman and the Alps. 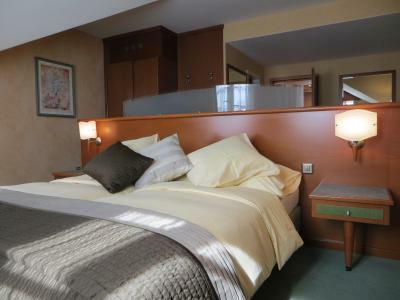 It features a 4.6 ft wide bed and a digital TV-set with 70 channels and 18 radio channels. This west-facing room features a digital TV with 70 channels and 18 radio channels. 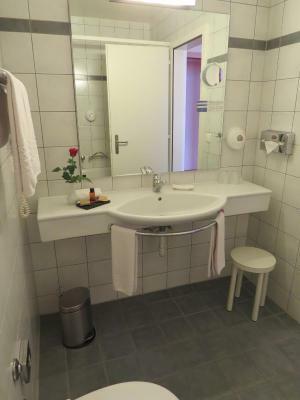 Please note that this room type does not have a view of the lake. 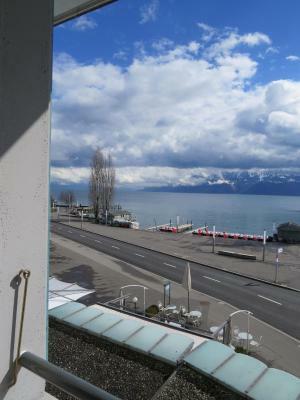 On the 3rd floor, this room offers a magnificent view of the Léman Lake and the Alps. It features a small living room, a minibar and a digital TV-set with 70 channels and 18 radio channels. House Rules Hôtel du Port takes special requests – add in the next step! 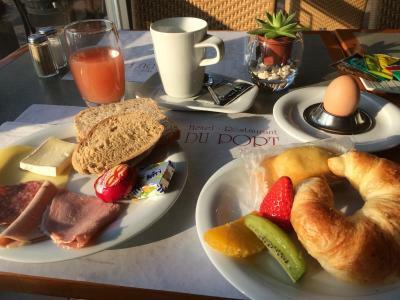 Hôtel du Port accepts these cards and reserves the right to temporarily hold an amount prior to arrival. Please note that air conditioning is not featured. After booking my room I received a message saying that I booked a city side room then I modified my reservation in order to have a lake side room and paid more because the reason for choosing this hotel last 4 years is lake view. The view, location, stuff, quiet place, comfort, restaurant & breakfast (btw, sorry again for almost not paying the breakfast, I thought I have made my reservation with breakfast included, thanks to kindly guy from reception for telling me to pay; I am a honest men). Location and view. Service were great with free coffee. Reception very helpful with any assistance. The friendliness of staff, one feels welcome. Not the same as in big chain hotel. Very special feeling. Great rooms. 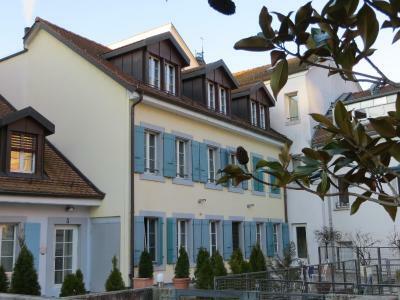 Fantastic location and quiet despite beeing so close to the center of Ouchy. As I was there to see the Olympic Museum the location was perfect. 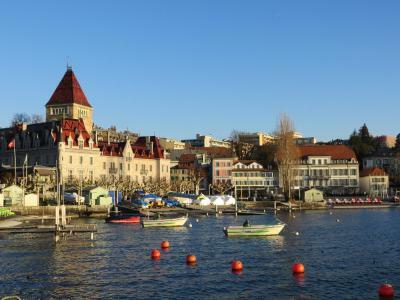 It is good for the rest of Lausanne too. The breakfast buffet was very well stocked and the view from the room over the lake was fabulous. A bit short of bathroom amenities. May still be ok for a 3-star hotel. Nothing really, my son and I were perfectly ok. I was there on business but very nice to have a lake view as I'd booked early. Very friendly front desk staff, very polite. I would recommend and definitely stay at Hotel du Port again in the future. Also had some UK TV channels which was a bonus! 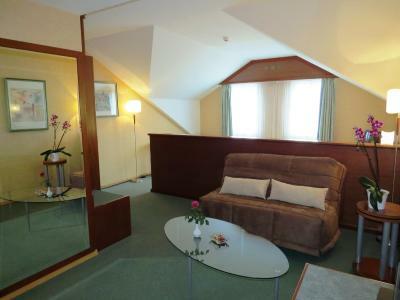 Room very clean, bed very comfortable, perfect view on the lake, very good restaurant. When staying here in the winter, the room felt dark even when all the lights were on. I only needed a place to sleep so i was pleased the bed was firm and comfortable. 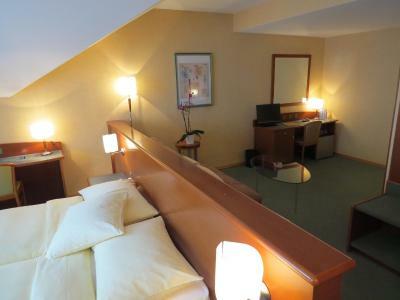 It was good value for money, particularly when comparing the price with other hotel rooms in the area. Check-in and check-out was fast. As a bonus for me, the hotel is beautifully located at the lakeside. The view from the room to the lake and the mountains was amazing! 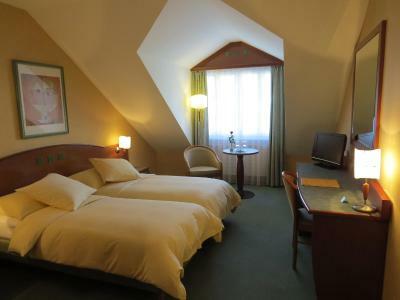 It was my second time in this hotel and I would come back again! Bathroom extractor fan wasn't working. 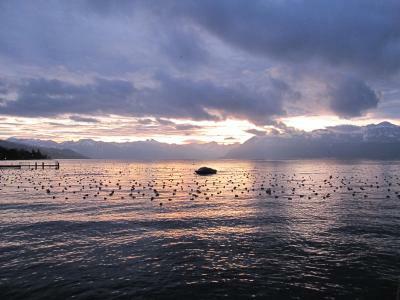 Location was amazing for what we wanted to do in Lausanne. 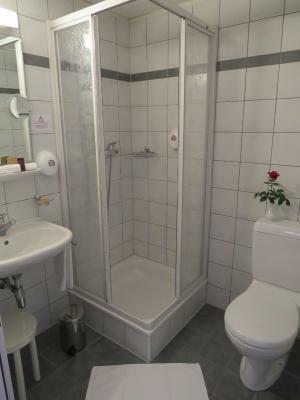 The bathroom was very small, especially the shower. Location couldn't get any better. The breakfast could be improved. Had better breakfast in other Swiss hotels.